There is nothing more exciting than discovering talent ! Stuart St Paul met Derek Redmond on the 'after dinner speaker's circuit ', where they have both often been on the same bill. The two have became friends. When Stuart suggested that Jean was looking for an actor to play a complex part and they both thought he would be perfect, Derek was interested. Derek is an Olympian, won the Men's 4x400 metres event at the 1991 IAAF World Championships in Tokyo, Japan and 400m with team mates Roger Black, Kriss Akabusi and John Regis. St Paul had already worked with Akabusi on the TV show 'Do You Want A Smack'. So there was even more common ground. It is funny how this really is a small business and the players have long and inter tangled roots. Explaining the part was not easy because Redmond appears as a bad guy, the kind who would kill anyone, but, he is there to save Doris from someone even worse. To say more would give too much away, but Derek, playing Drek, sends Doris Shades to Norway to collect a package and waits for her at home with the annoying Wilma. These international sports stars have charisma, they have something special which is why they make such great presenters and panel show guests. They already live the life of strange hours, world travel, TV cameras, panel shows and being under the press microscope at every move. However, as celebrities, guests and keynote speakers they are plied with more bucks than actors are thrown, so it was the friendship that swung the deal and the fact that as it was a web series his contribution could be shot around his very busy calendar. Even then he often arrived late from another engagement, had to leave for an engagement, and while there Sky Sports were sending a satellite unit to the set to have him go live into the news. 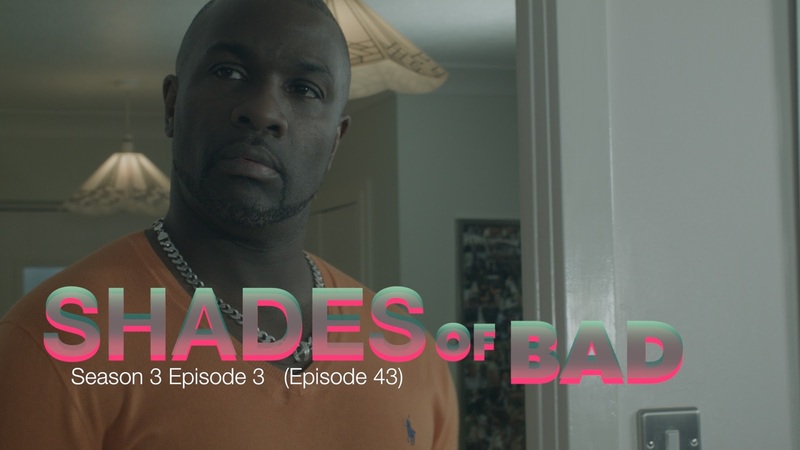 Shades Of Bad was a perfect fit as all the players have other engagements, but it did make scheduling a little bit of a challenge. Stuart confirms that these were the first episodes that actress Jean Heard directed, purely as she was not in the UK in the story and as such was without a job while they were to film, and Buster Blackledge had gone off onto a movie. Jean's Norwegian sections had been shot ages ago, long before Derek was cast, which to some extent sadly locked the flexibility of the script. However it has all been made to work and series three ends with him able to come back for another season should he want to, however, the reality is that season 4 will no doubt start shooting around the time the Rio Olympics are on and Derek will be busy as a commentator or expert on a TV network somewhere round the world. Click here for the 2016 trailer with Derek in, long before the episodes were cut, but it is a good taster. Click here for the full Shades Of Bad playlist. Derek starts in Episode 43, if you want to jump in somewhere, episode 40 is not a bad place to start. 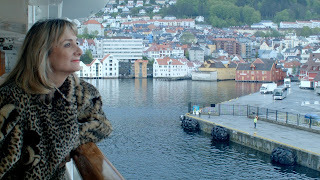 Since Norway, Jean has started a Travel Show spin off, DORIS VISITS, click here for the whole playlist. 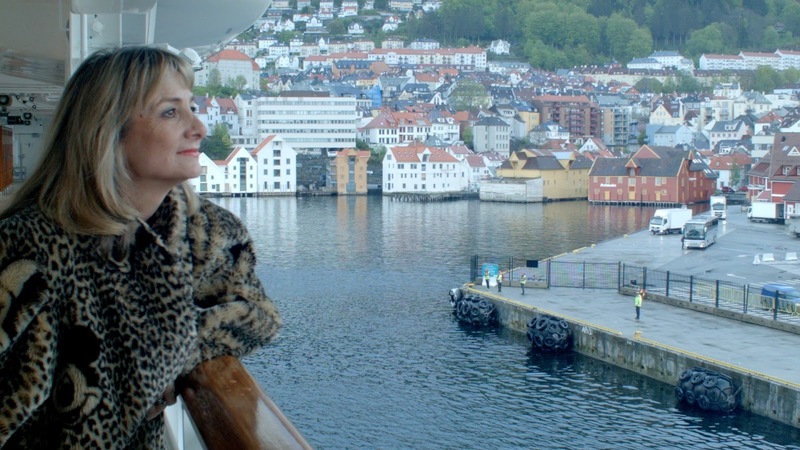 But click here for the cuts of Norway cobbled into a travel show episode, whilst not in the normal Doris Visits style gives a little of what was going on. All this was shot before Derek was cast. Finally, please subscribe to the Shades Of Bad YouTube channel. Derek is in the show for around ten episodes... we have not counted them!